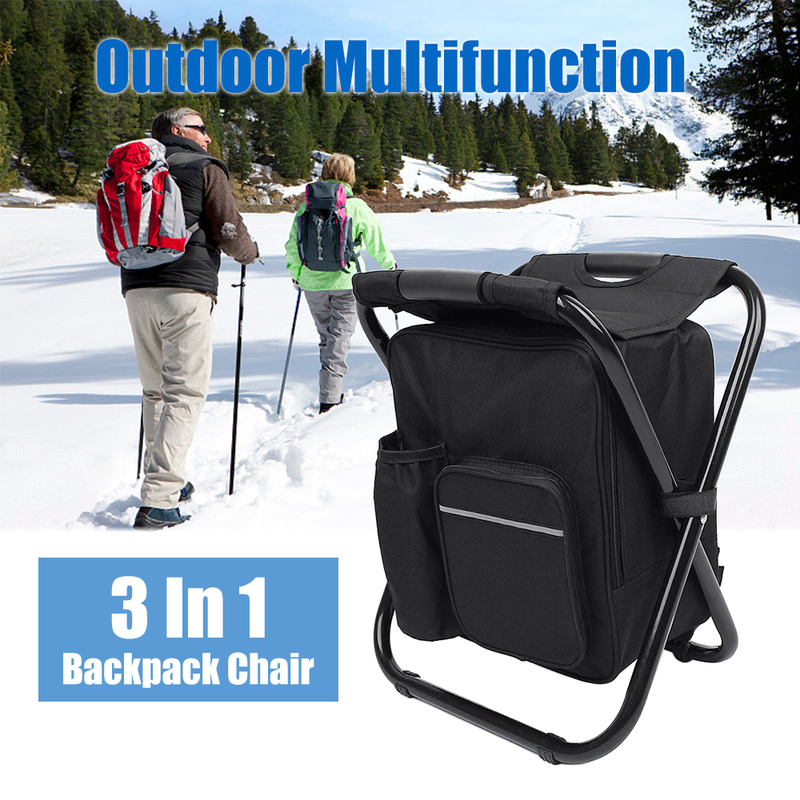 This is a multifunctional stool that can also be used as a backpack and insulated cooler. 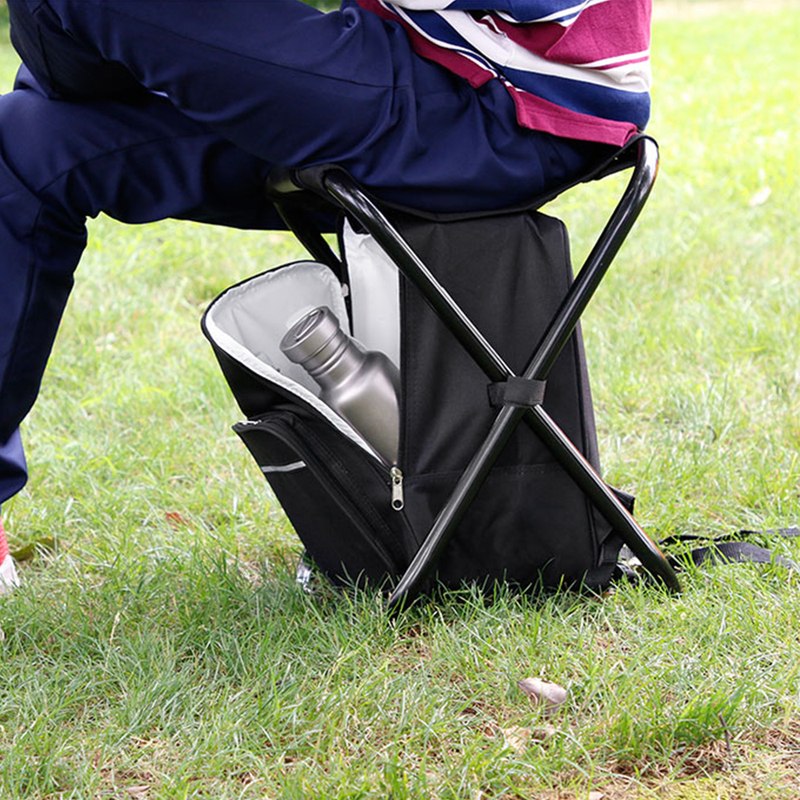 Its sturdy steel construction and tear-resistant oxford fabric can support a maximum weight of 150kg (330lbs). 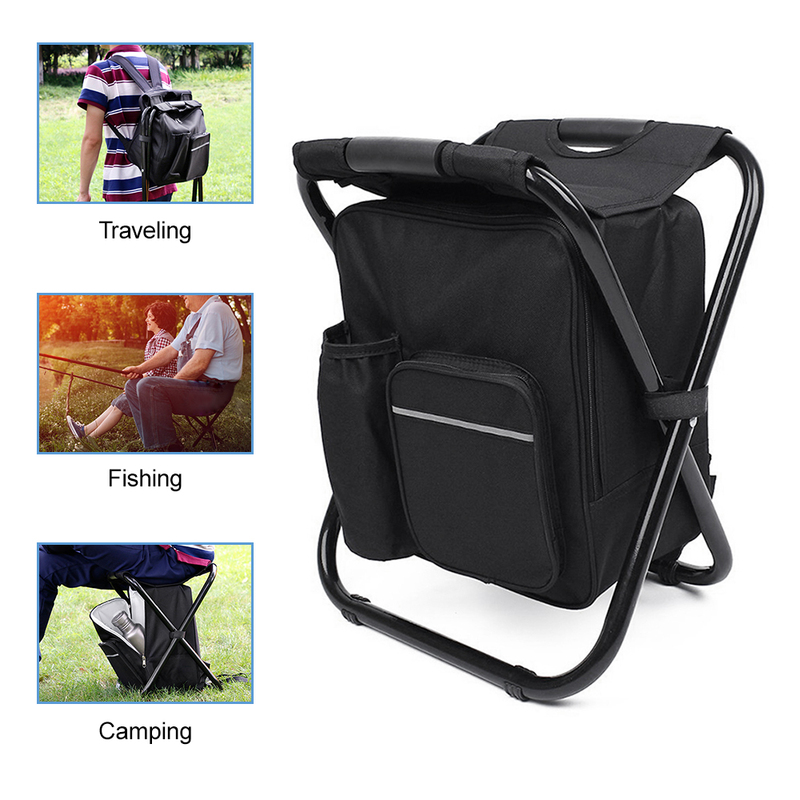 It is foldable and portable, very convenient for camping, fishing, hiking, picnic, traveling and other outdoor activities. 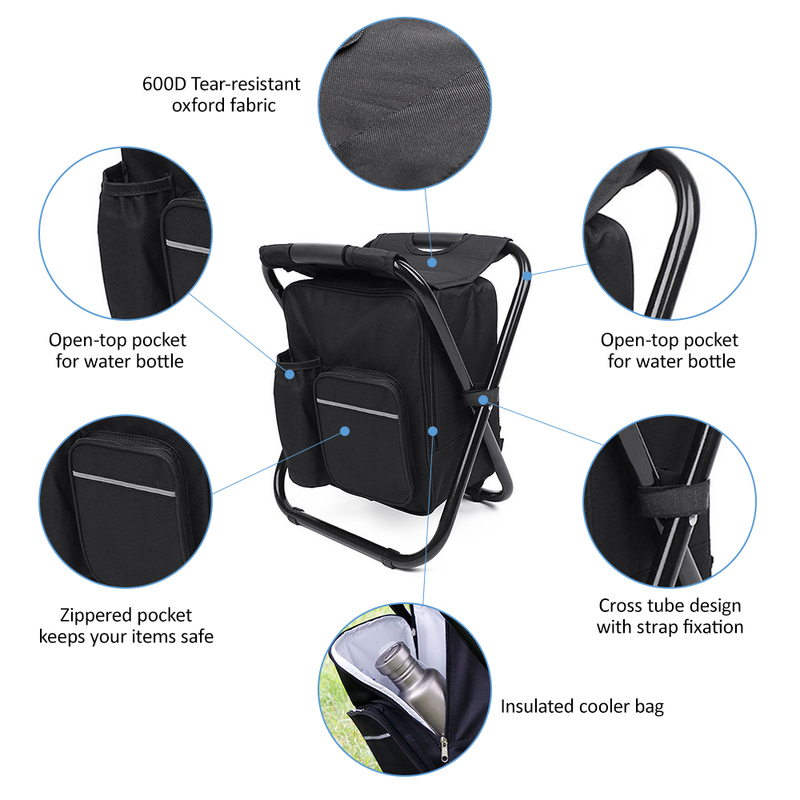 Multi purpose design: backpack, insulated cooler, and stool. 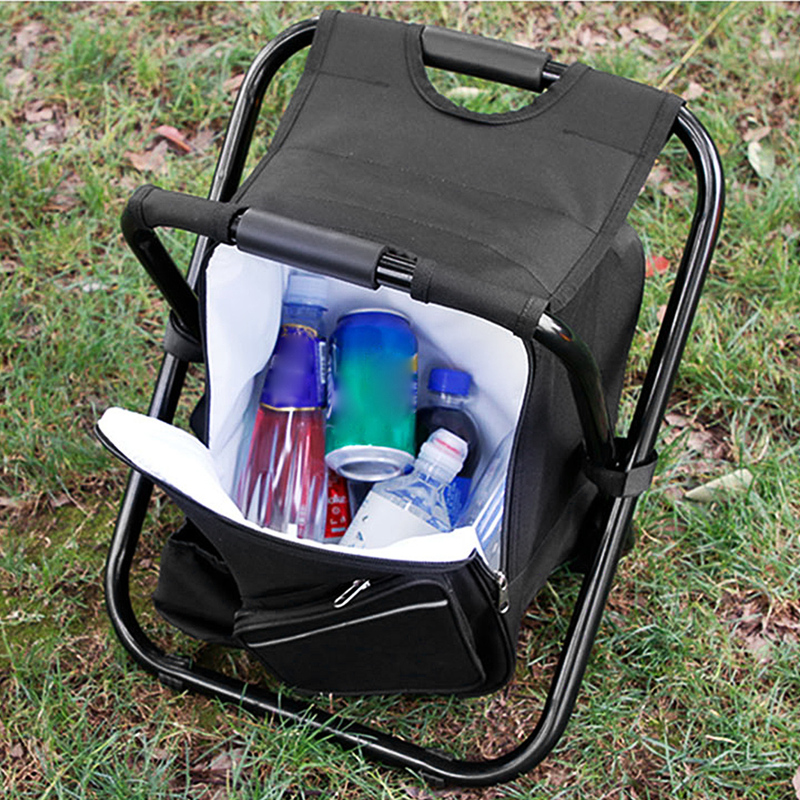 Spacious insulated bag keeps your beverage cool. Exterior pockets for holding smaller items. 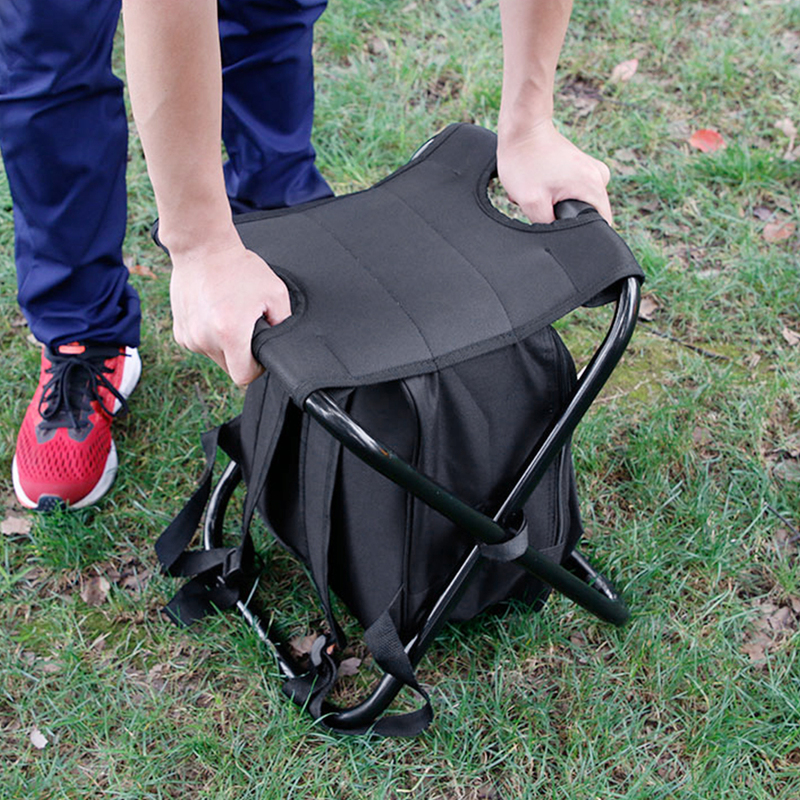 19mm sturdy steel tube holds maximum user weight: 150kg (330lbs). Adjustable shoulder strap for conveneint carrying. 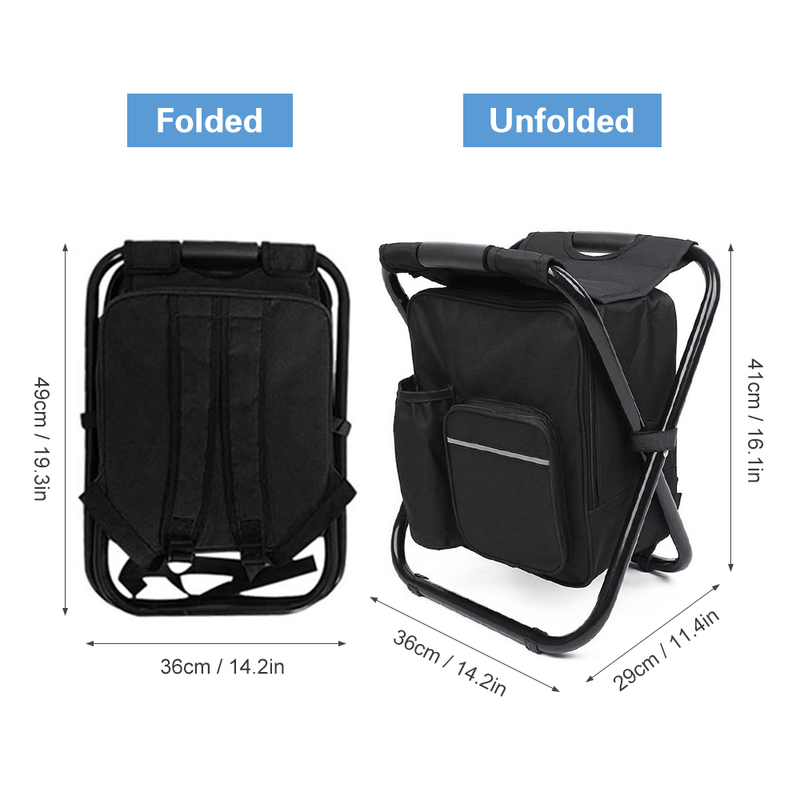 Dimension: 14.2″ * 11.4″ * 16.1″; Folds flat (14.2″* 19.3″ ) for easy storage. 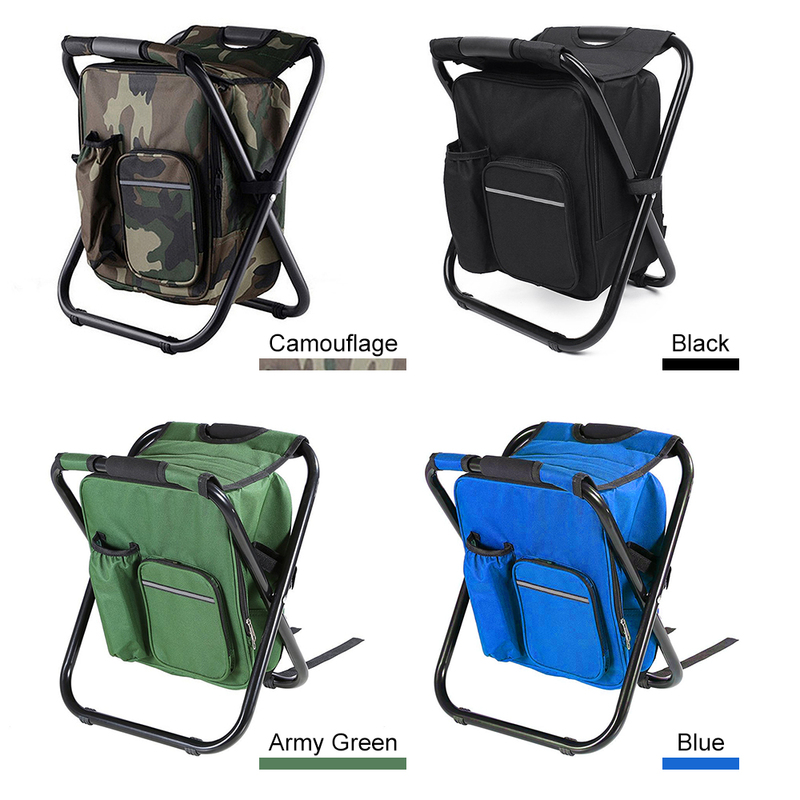 Great for camping, hiking, fishing, picnic, traveling, etc.